Modern look Fence makes the house pop! 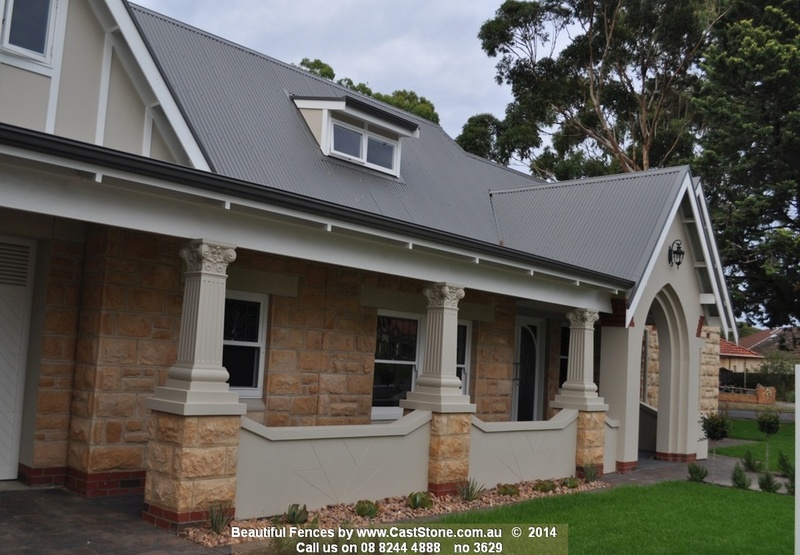 CastStone has been manufacturing precast sandstone products for over 30 years. We are a Australian family owned company. Our friendly and knowledgeable staff are ready to hear your ideas and help turn them into reality. We make beautiful fences. Check out our Galleries for more photos of Pillars, Fences, Columns, Mail Boxes and other Precast Sandstone Products. Our Star of the Month Fence this month showcases a formal garden entry way created using CastStone pillars and a curved wall. With over 30 years of perfecting our trade and one of Adelaide’s longest standing precast concrete fence manufacturers, we pay attention to the detail from start to finish. We pride ourselves in the quality of our work to ensure the final result is the perfect complement to your property. Recommended by builders and architects, we offer a complete service from design and council approval to installation. Visit us at our showroom in Albert Park to view our range of precast concrete products and speak with one of our consultants on the best options for your property. 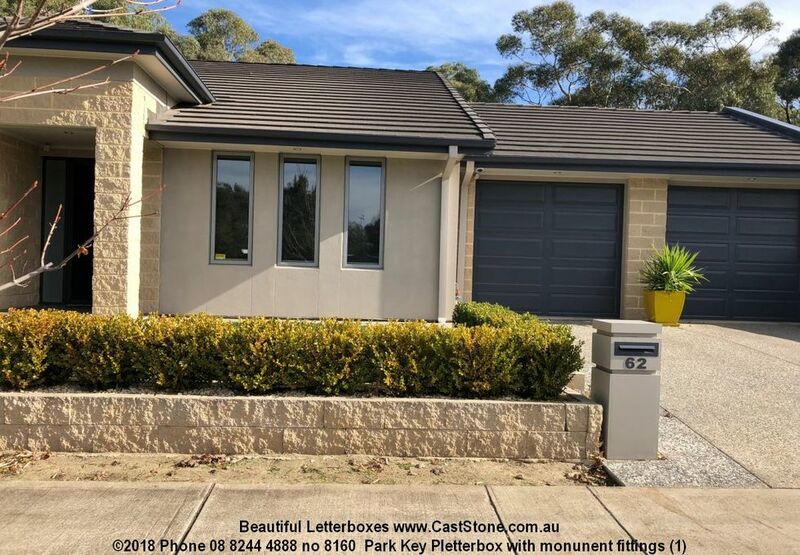 Get ideas on architectural fencing, fence & gateway pillars, concrete letterboxes, architectural columns, entrance statements and low level surrounds for gardens & patios. Installing a concrete fence, gates or sandstone pillars requires a few different services and trades to come together in a timely way. We offer an end to end service which includes a free measure and quote, council approvals, foundations, and installation. We are known for our turnkey supply and professional service. We work with home owners, builders and architects around Australia to deliver sandstone pillar fences directly to you: Sydney, Melbourne, Brisbane, Perth, Adelaide. We freight anywhere in Australia or products can be picked up from our factory in Adelaide.